I live in Canton, Ms but it is still one of our favorite Christmas Traditions. The lights are so beautiful my husband and I love to shop, walk and take it all in. There is a carrige ride for date night. They have the Chunky Dunk truck for your sweet tooth and the best hot coco ever, a food truck and Legend,s Grill located on the square. JJ Outfitters is for outdoor man. Sulms has gifts for everyone, I buy lots of dip mixes and I make 10 or more cheeseballs for gifts from the craker seasoning they sell. Joyce Street and Noel Webb sell their art there. ( I might be their biggest fan my house is full of their paintings) You will find candles,jewelry, clothing, and home decor. La Di Da is next door. I got a adorable sweater for $44.. They have Christmas t-shirts, jewelry, pajamma pants, pottery, and some other really cute gifts. The Euporium is like a big fleamarket packed new and vintage finds. There are a couple of really good antique stores. Farmhouse has only been in Canton for only 2 years but they are planning to double in size in 2018. 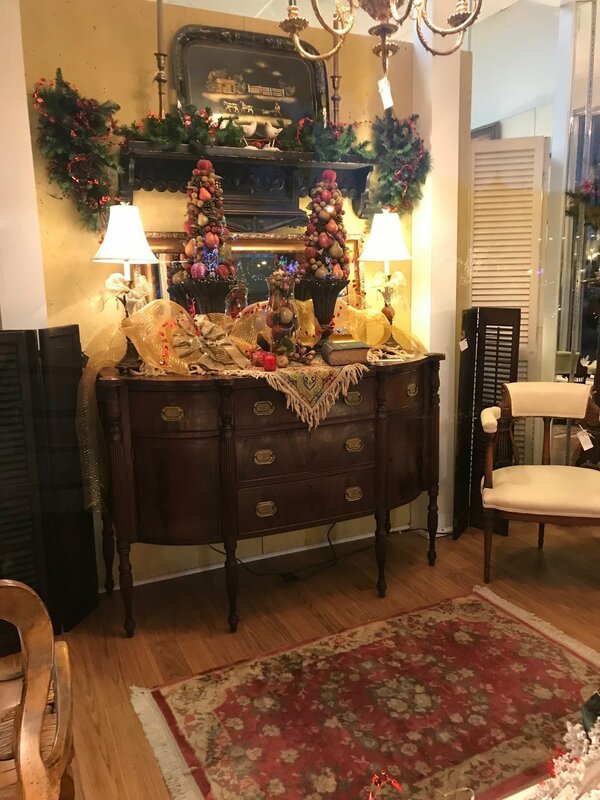 They carry a large selection on unique home decor and gifts. Dane's is a beautiful gift shop with home decor, jewelry, clothing and gifts. THE BEST THING ABOUT SHOPPING THE SQUARE IS THE FREE GIFT WRAP!!! FOR THE KIDS...NEW this year:Roast marshmellows with Frosty, Make reindeer food with Rudolf, and take an Elf class and get your Elf Certificate. As you walk around the courthouse you will see Mrs. Claus and several elves. There are rides or the kids and a character parade. A walk through the Animated Christmas Village will take you and your family back in time. Before you leave have your picture made with Santa. YOU MAY CHECK OUT THE CANTON TOURISM FACEBOOK PAGE OR THE WEBSITE FOR A SCHEDULE.